You start off in a preliminary pace, not drastically, which means you may collide with some surprises if you make a drastic change immediately. For example, changing the chairs or the wooden seating to a modern one. 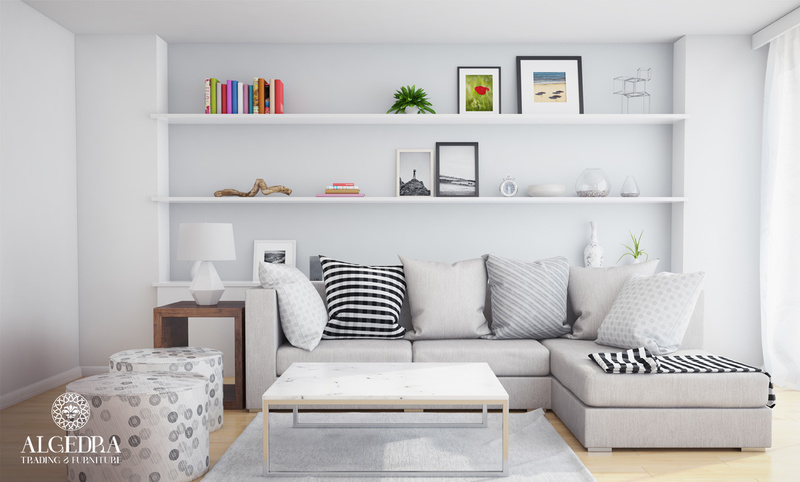 Follow ALGEDRA’s experts’ advice and start by changing a pillow in the room to a more vibrant pillow that has gradual color instead of one color. Starting off this way may inspire you with even more and better ideas. Also, one of the most important things is to know the suitable furnishing style for your room or home décor. You can start off with small pieces such as art portraits. If the room decor is wooden for example, you should think very well before placing the portraits on the walls. You should choose a suitable artistic form. There is no harm in little change if it is made cautiously and gradually (such as adding a modern portrait in the antique wooden room). Also paying attention to the sizes is very important and you must realize the distance between the couch and the wall certainly the farther the distance between them you have to choose larger sizes and so on. Note: the larger the wall portraits the room will seem more crowded. The fabrics in the room must be somehow suitable with the displayed colors (basic color) in the pictures mentioned above, but not necessarily conform them. It is a great challenge. The more there are styles in the room the more you need optical comfort to enjoy looking at the room’s components such as the wall portraits. To make the room less crowded try placing some plain artifacts with not many details and shed lights on them to make them catch the attention. Of course, you must adhere to traditions here, but you can sometimes challenge them. 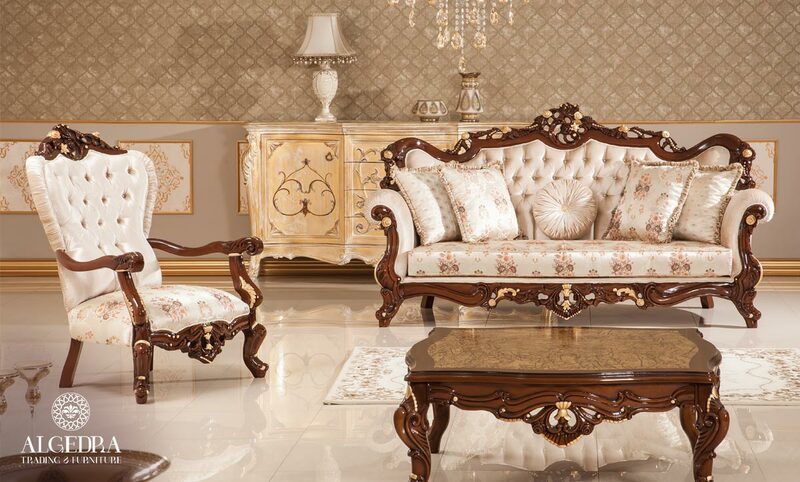 Antique or classic furniture can be modern if you add some touches. It is not necessary to have the front part in some of the furniture identical to the rear portion. You can have one side in the traditional colors, and the other side full of different colors and vitality. And if things don’t go the way you plan, you have to keep some furniture in their classic pattern. Then you can add something contemporary to their side such as a vase to put flowers in or you can experiment with the type of carpet in the room. For example, adding a lively and modern carpet beside a sofa with a style of the eighteenth century.